A rare opportunity to enjoy one of the most acclaimed operas of history since it premiered triumphantly in the Teatro alla Scala in Milan on March 9, 1842. 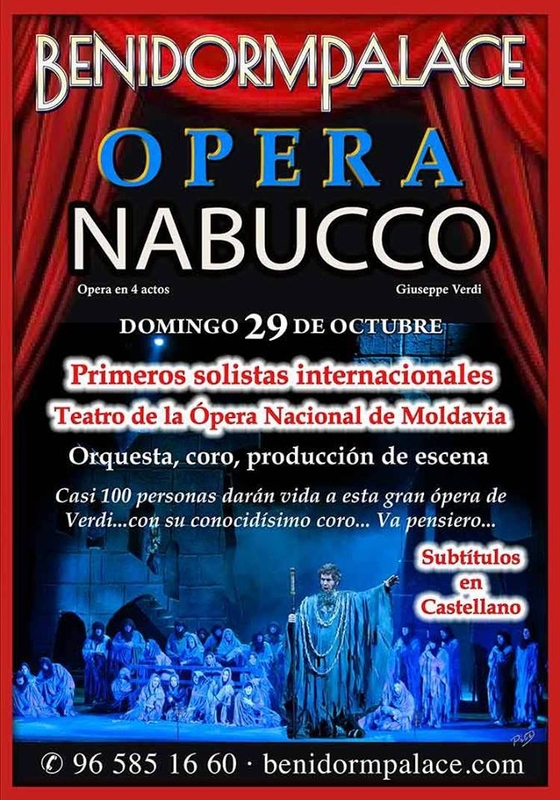 Nabucco contains the famous Chorus of the Hebrew Slaves, one of the most famous songs of the History of the Opera. A song that was adopted by the Italians as an anthem for the freedom and unity of the country. King Nabucco, after conquering the Hebrew people, proclaims himself God. But destiny, as revenge for such boldness, makes it madness. During his illness his daughter Abigail occupies his throne, condemning to death the Hebrews. After returning from his suffering, he converted to Judaism and decided to reconquer his throne, giving the people back their freedom and being crowned king of the Jews.